Asociacion Nuevo Futuro producers outside their headquarters. 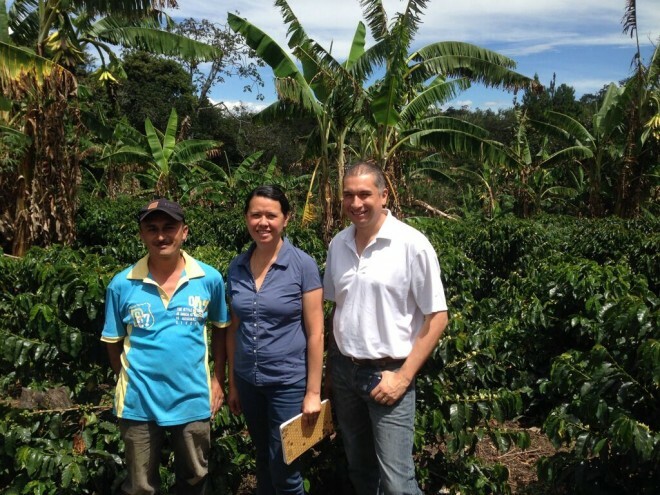 Nuevo Futuro is a small association of 200 Colombian coffee farmers, many of whom are indigenous. The group is built around clear principles and values that require collaboration and commitment from their members. 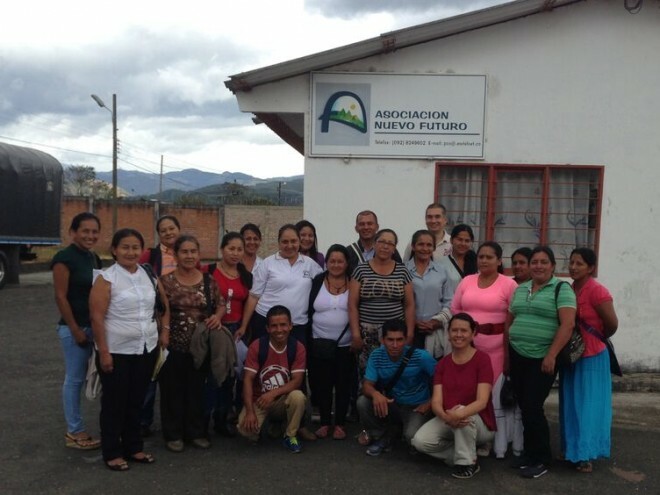 Because families are spread out over five municipalities in the large department of Cauca, they have organized themselves into local boards that meet every other month at a different farm. Because they have limited resources, they rely on each other for technical assistance, practicing a “farmer to farmer” training methodology. 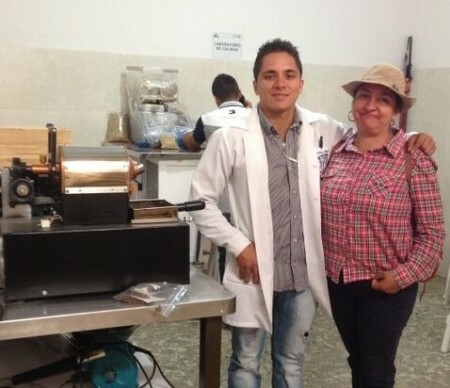 Andres Chacon and Luz Elva Chacon in their new coffee quality lab. Luz Elva Chacon is the dynamic and inspiring leader of Nuevo Futuro. She has expressed how happy she is to participate in building a food security program from the ground up. She says that, at least with her group of producers, cookie-cutter projects have not lasted, and feels that this project can succeed where others did not because it promotes ownership, an important principle for the organization. 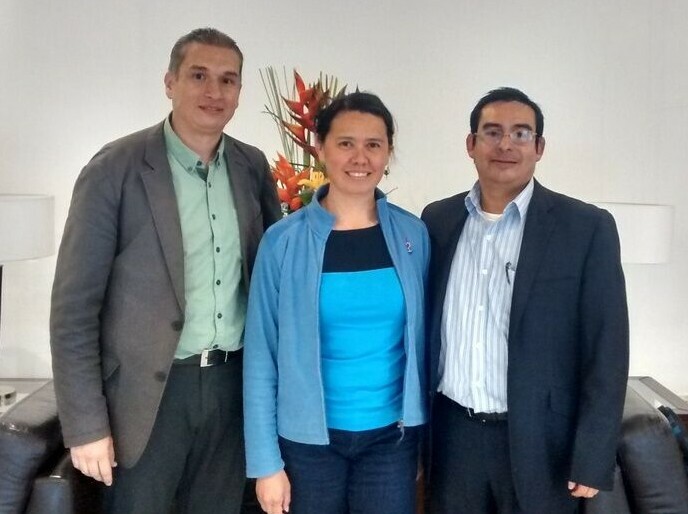 Marcela (center), Food 4 Farmers Co-Director, with German Riveros and Oscar Nausa of Nueva Ruralidad. 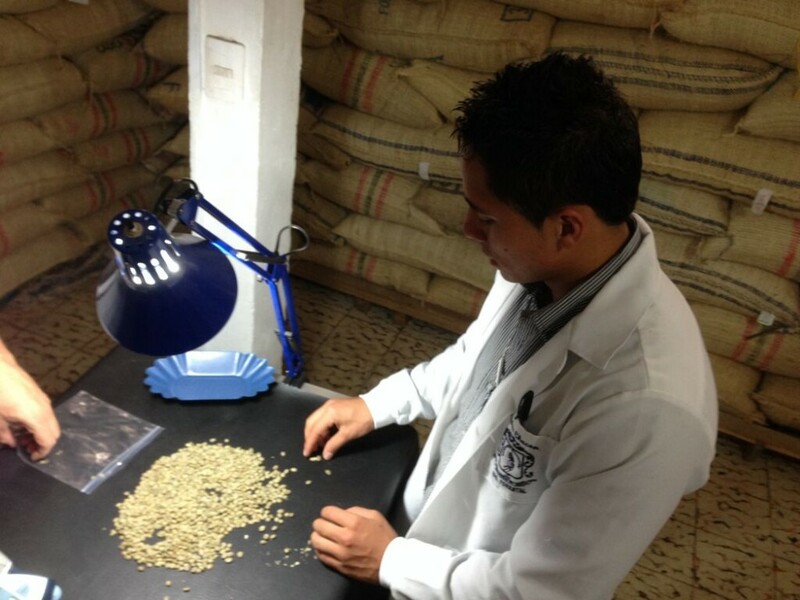 Corporación Nueva Ruralidad is our local implementing partner, with expertise in the formulation, management, and execution of sustainable agriculture projects. 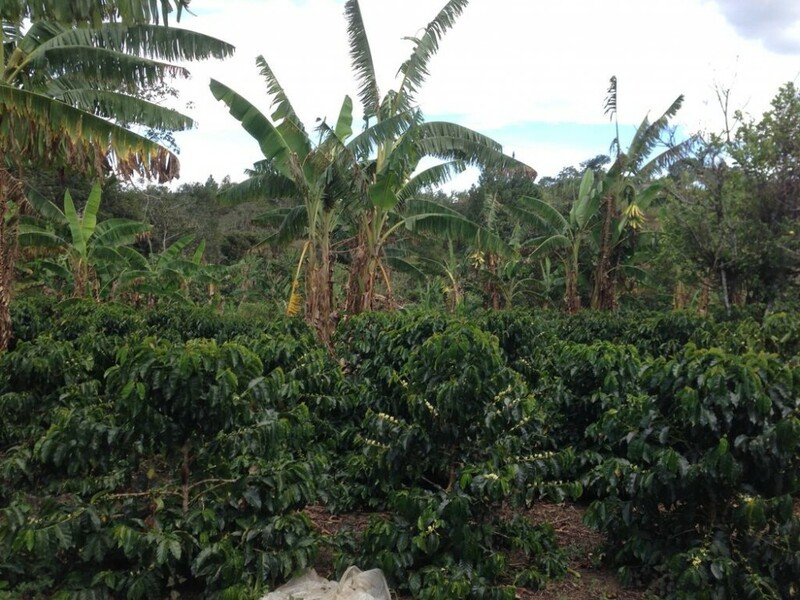 Based in Bogota, their mission is to promote sustainable livelihoods for a new Latin American rural environment. Our organizations share similar goals and a vision that what communities need the most is mentorship, accompaniment, and long-term commitment. With our guidance, Nuevo Futuro is designing and building a long-term food security program, identifying indicators to monitor the project and measure success, and manage long-term, community-appropriate strategies to overcome food insecurity. 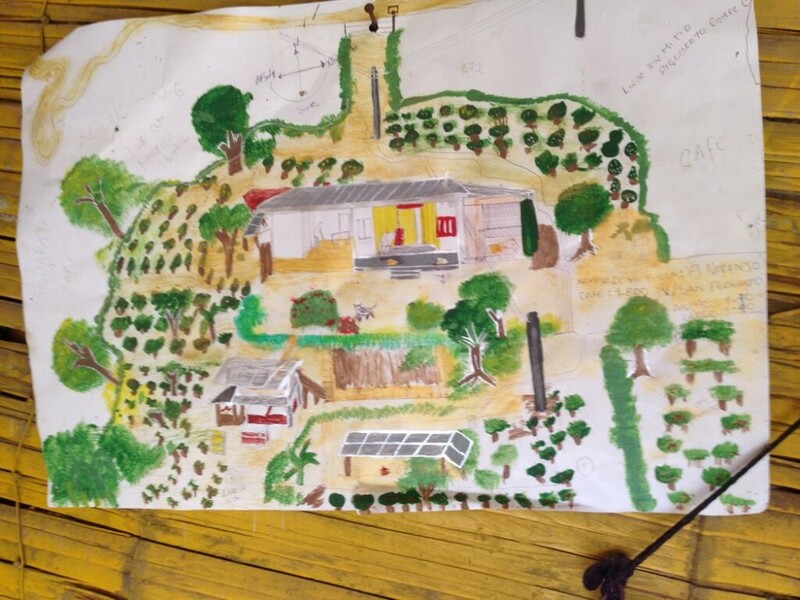 This includes a participatory approach, ensuring that this community of producers determines the indicators, strategies, and measures of success. Nuevo Futuro members wanted to understand basic food security concepts, like balanced diets, and re-connecting with their traditional food heritage. We developed a Food Security Curriculum to educate the community about healthy and diversified diets, and appropriate food storage techniques to prevent waste. We believe changing families’ behaviors around dietary habits and community livelihood decision-making are two key strategies to address the underlying causes of food insecurity. To accomplish this, we are training Nuevo Futuro staff to facilitate these workshops and embed this knowledge in the community. Specific strategies include crop diversification to improve farm resiliency, provide an alternate source of income, and additional food for families. The food security project includes a home garden program with water management systems, which members report as one of the main obstacles to sustaining a home garden over time. In 2017, we’ll add chicken and egg production, to provide a regular source of protein for families, and a supplemental source of income from the sale of eggs. We have also conducted a baseline assessment for each strategy, to guide Nuevo Futuro in implementing and monitoring these strategies. 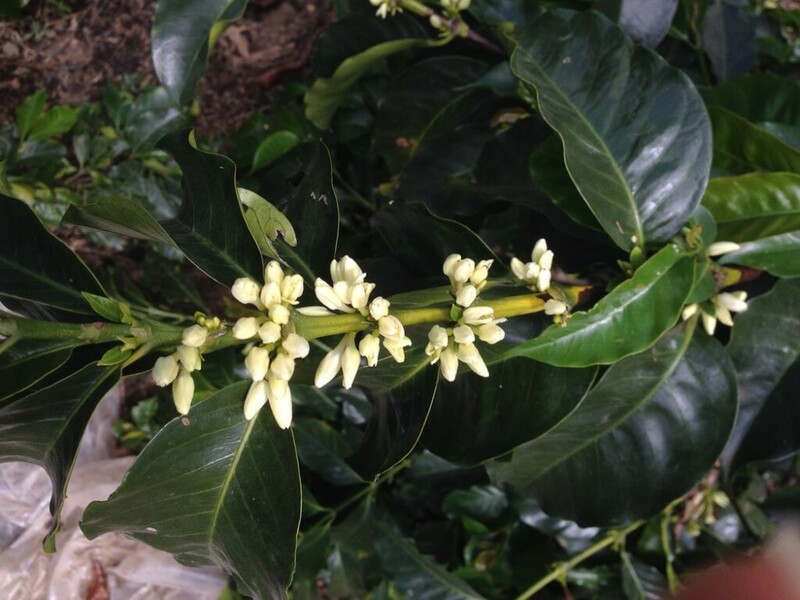 An important goal is to support Nuevo Futuro in diversifying from coffee. Many members are very small producers and the amount of coffee that they harvest is not enough to support their families. Many farmers work outside their farm or live with chronic debt. And, there’s great potential for successful diversification here. We visited farms that have been successfully diversifying and using the local market to sell their products. These farmers are demonstrating that it is possible to successfully supplement income from coffee, if done in a planned and thoughtful way.